Thanks, Evolution Tango and LCC! 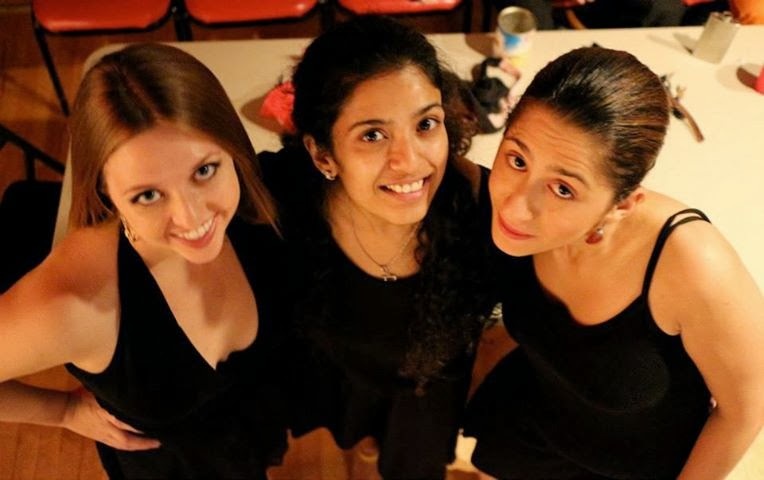 We had a fantastic time performing at the LCC's Latino Dance Festival last Saturday night! 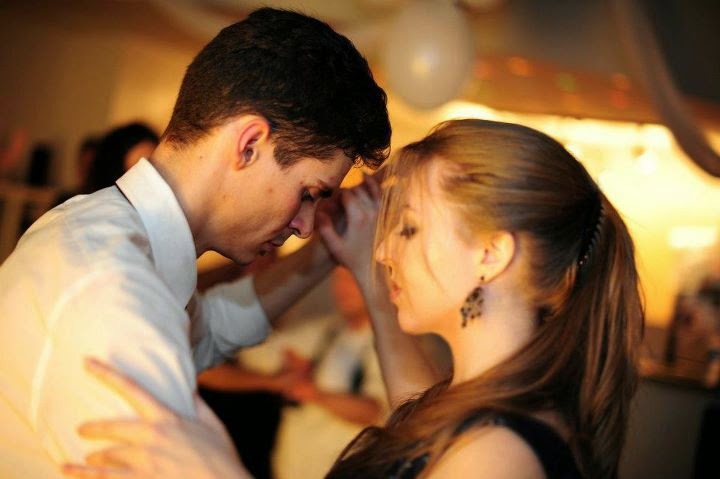 Here's a photo of me and Andrey dancing to "En Tus Brazos," by Alfredo De Angelis. 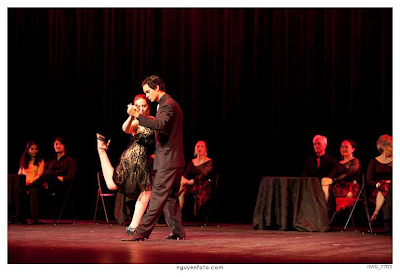 Thank you George and Jairelbhi and Evolution Tango for inviting us to dance with you. Andrey and I with the rest of the group, closing out the performance with "La Cumparsita." 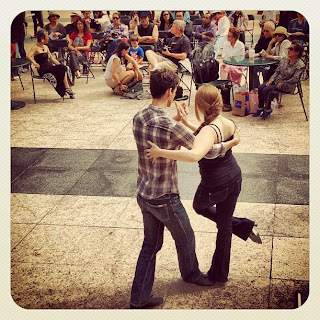 Several members of the local Tango community have been working diligently to organize an event at Klyde Warren Park in Dallas, and it's all coming together! Join us on October 20th from 6-7 pm for an introductory Tango lesson by George and Jairelbhi Furlong of Evolution Tango. Guest appearance by Open Classical. 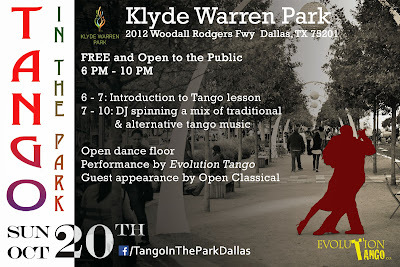 Check us out at www.facebook.com/TangointheParkDallas or visit www.klydewarrenpark.com for more information. The program directors at Klyde Warren park have given us their confirmation; Tango in the Park has been approved! 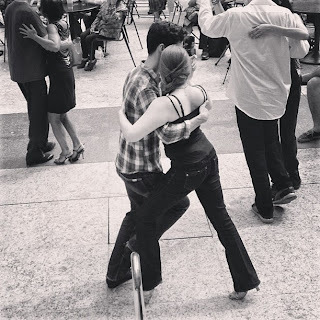 Some members of the Dallas-area Tango community are putting together an event taking place in one of Dallas's favorite parks (event details coming soon). A group of dancers and photographers met on Sunday afternoon for a promotional photo shoot. Thank you, Masha, for this incredibly flattering shot! October is here, so join us for Milonga Sandunga's third annual Halloween/Masquerade party! 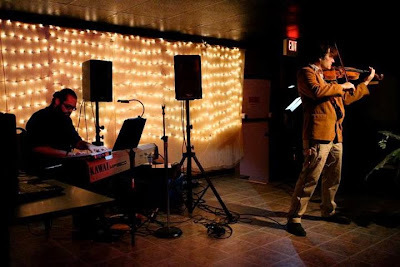 Mark Landson and Thiago Nascimento of Open Classical will be joining us again with performances on violin and piano. Admission is $10, and feel free to bring your own wine and beverages. Masques and costumes are optional, of course. I would like to extend a huge thank you to Mark Landson and Thiago Nascimento of Open Classical for their spectacular performance last night at Milonga Sandunga! 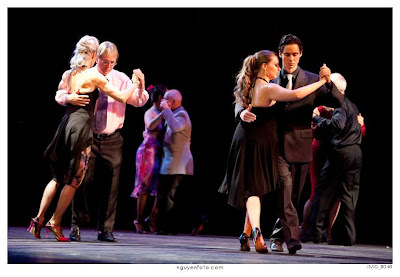 Friday, September 20 will mark the second anniversary of Milonga Sandunga, and I would like to extend a special 'thank you' to everyone who has made this milonga a continued success over the past two years. For the first time, Milonga Sandunga will feature live music provided by our special guests: Mark Landsen and Thiago Nascimento from Open Classical. To find out more about Open Classical, visit http://www.openclassical.org/ or check them out at www.facebook.com/openclassical.dfw . 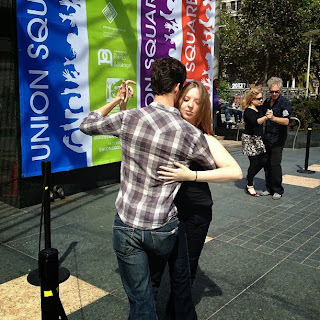 Union Square Milonga in San Francisco. Thanks again Christian for inviting me and Andrey to dance at your birthday party! The venue was beautiful and the party was excellent. Once again, happy birthday, and we wish you another year of great experiences and many adventures. Good news! My website is now live! Don't forget about my facebook page at www.facebook.com/MelissaRoseDance .